The first major exhibition in the UK and Europe of the ground-breaking textiles created by Reiko Sudo and the NUNO company. 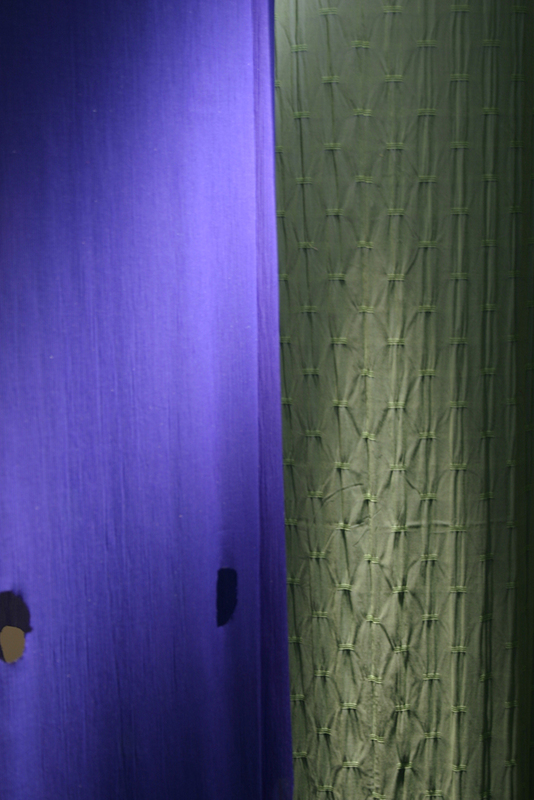 The exhibition celebrates 21 years of NUNO, reflecting the vision, energy, philosophy and innovation of Reiko Sudo. 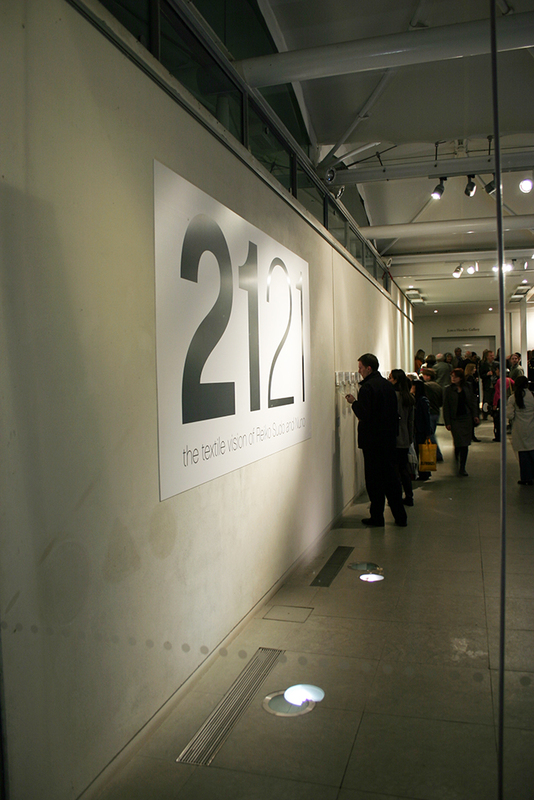 21:21 opened at The James Hockey Gallery, Farnham in October 2005. The exhibition tour included the HUB in Lincolnshire and venues in Austria and Germany. 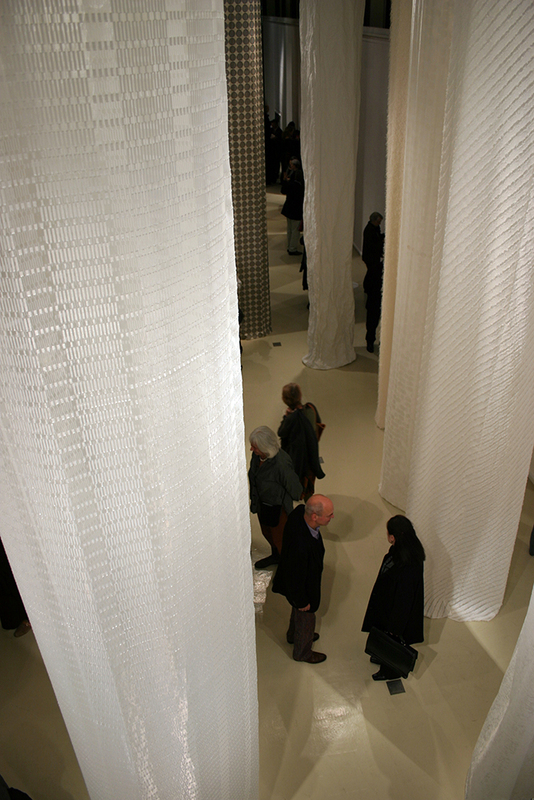 Put in place the first touring exhibition in the UK featuring the work of the internationally recognised, leading exponent of ‘techno-textiles’, the Japanese textile artist/designer Reiko Sudo. The exhibition and book 21:21 - the textile vision of Reiko Sudo and NUNO was to be a celebration of the first 21 years of the NUNO Corporation, of which Reiko Sudo is the Artistic Director. 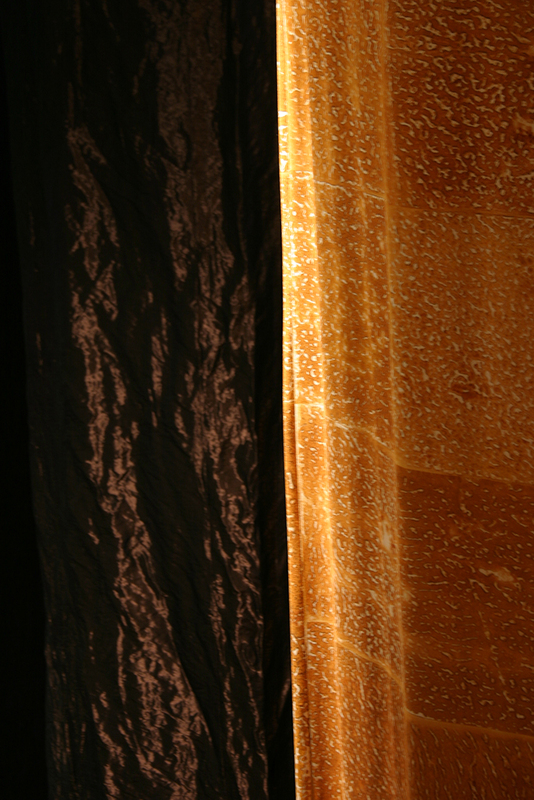 Explore new pathways into the development of the creative industries in the UK through the dissemination of Reiko Sudo’s pioneering approaches to collaboration between traditional artisan methods and industrial design processes. This exhibition, supporting publication and education programme provided an invaluable model for the creative industries and artist/designers in other countries. 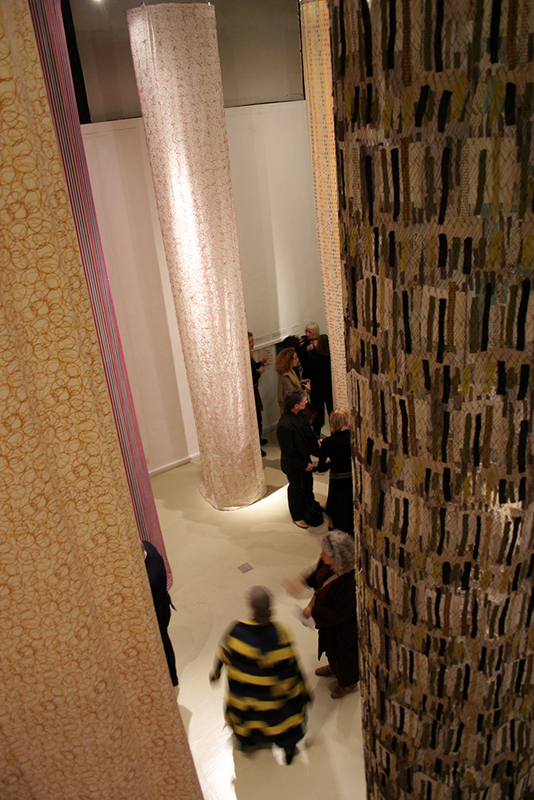 The exhibition installation was made up from 31 specially created 6m long x 2m circumference columns of NUNO textiles. 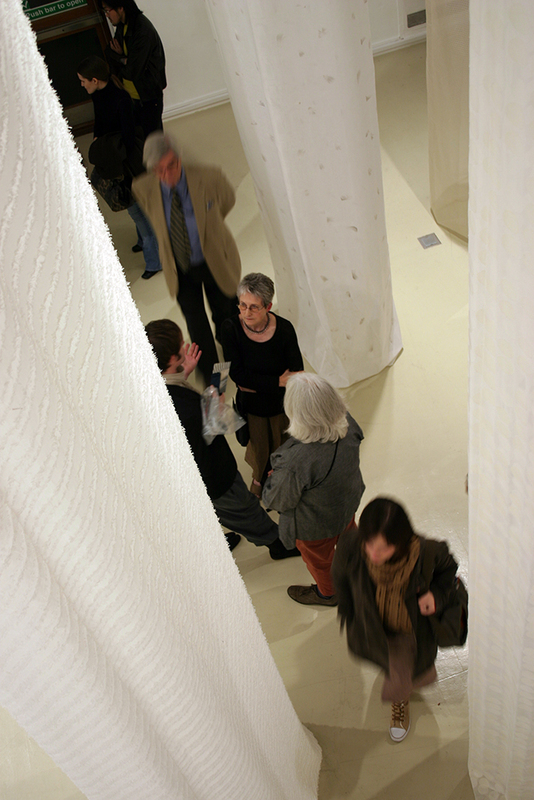 The exhibition concept was a collaboration between Reiko Sudo (designer), Asako Yamamato (architect), curator Lesley Millar and was realised by Richard Jones (UCA Operations Manager Farnham and Epsom). 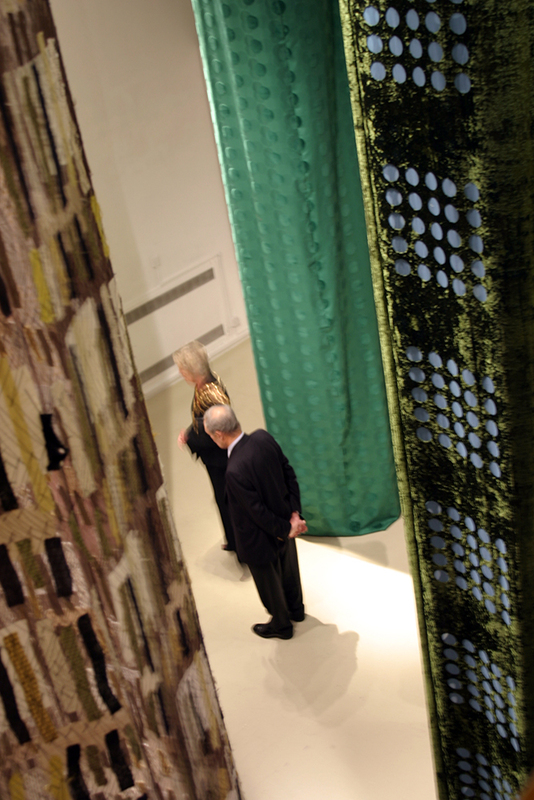 We provided touch panels for every fabric in the exhibition, located on the walls close to the relevant fabric. This was an extremely successful addition with 90% of visitors making positive mention of the touch panels. This was an innovative addition to the exhibition and the design of the touch panels (Direct Design) contributed to their success and the use of touch panels will be carried into other textile exhibitions. The Education Programme was extremely well attended - keynote speaker at the Conference being Matilda McQuaid, Head of Textiles at Cooper Hewitt Museum New York. The Master Class given by Reiko Sudo at UCA for professional practitioners and students was hugely over-subscribed and was undertaken as a 'cascade': all participants agreed to give the workshop to others, which they did, creating maximum dissemination. The Seminar became the starting point for the project Context and Collaboration. The exhibition toured outside the UK to Haslach in Austria and to the Museum für Kunst und Gewerbe in Hamburg. 4 venues . 31 Fabrics exhibited . 60 thousand visitors .